Passengers boarded the commuter rail at the Framingham MBTA stop in this Jan. 28, 2012 file photo. The T had been calling the surcharge a “nondiscount” and baking it into the price of tickets posted on new signs detailing the July 1 fare increases, though the surcharge had scarcely been publicized when the transit agency proposed fare and service changes earlier this year. 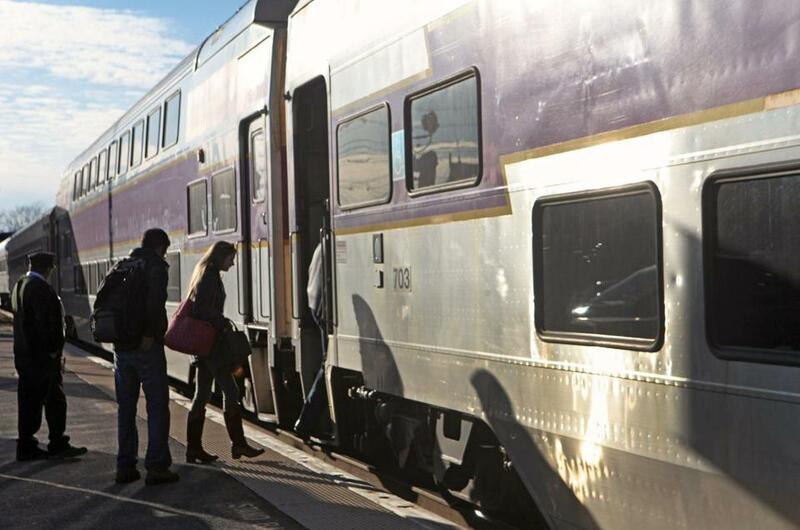 That prompted criticism and concern from riders and lawmakers in commuter rail districts. MBTA spokesman Joe Pesaturo said the T will instead add the $3 charge, starting Sunday, only when riders buy tickets on board trains after getting on at stations where tickets can be conveniently purchased. That more closely mirrors the existing policy of tacking on a surcharge ($1 off-peak, $2 peak) for failing to buy tickets before boarding at stations where they are available. Pesaturo said the MBTA will reexamine the policy in the fall, after it introduces a mobile application to allow the majority of customers with smartphones to buy and display tickets with their phones.